"Congratulations! 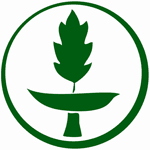 With this letter, the Unitarian Universalist Association of Congregations, Office of Congregational Stewardship Services is honored to formally recognize Outlaw’s Bridge Universalist Church as an Accredited Green Sanctuary. You have truly taken the goals of the Green Sanctuary Program to heart. Again, congratulations on successfully becoming an Accredited Green Sanctuary. Your accomplishments serve as a beacon of hope, demonstrating that we can all make a difference!" This is an excerpt of the letter from Robin Nelson, Program Manager, Congregational Stewardship Services after we were approved for Accredited Green Sanctuary Status. We are very proud of our accomplishment, but know that protecting the environment is an ongoing responsibility for everyone. See below for more information on the Green Sanctuary Program.